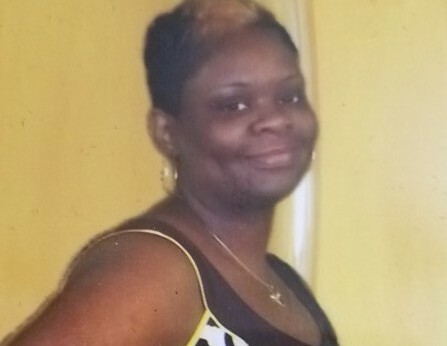 Jacqueline "Jackie" Davis, 48, of 181 Cypress Street, Clinton South Carolina, entered into Eternal Rest on July 28, 2018 at Greenville Memorial Hospital in Greenville, South Carolina. She was born on September 7, 1969 to the late Monroe Leake and the late Bertha Jeanette Davis at Bailey Memorial Hospital in Clinton, South Carolina. Jackie was a 1987 graduate of Clinton High School and an active member of Hebron Baptist Church where she served on the Pastor's Aide Ministry as the secretary. She was also a member of the following ministries in the church: Usher Board, Missionary Board, the Kitchen Committee, and the YWA Ministry where she served as the Chaplin. Jacqueline was a former employee of Teknor Apex, Fountain Inn, South Carolina where she was employed for sixteen years and most recently an employee of ZF Transmissions, Gray Court, South Carolina. In addition to her parents, she was also preceded in death by a nephew, Branden O'Neal Johnson. Ms. Davis leaves to cherish fond memories, her children; Michael J. Brooks, Ericka R. Watts, and Jordan T. Davis all of Clinton, SC, and Christopher J. Stallings of the home; two sisters, Meredith (Walter) Tribble of Clinton, SC and Miranda C. Leake of Laurens, SC; two brothers, Sonny (Faye) Davis of Laurens, SC and Monroe Davis of Chappells, SC; her maternal grandmother, Mary Thelma Scott of Clinton, SC; four aunts, Carrie Belle Leake, Thelma (James) Jones, Ygenia (Leroy) Gary, and Ella Young all of Clinton, SC; four uncles, Richard Scott of Cross HIll, SC, Robert L. Scott of Simpsonville, SC, Shepherd (Ethel) Scott and Alvin (Gennie) Scott of Clinton, SC; a maternal great uncle, Reverend James "Churchill" Robinson of Abbeville, SC; six grandchildren, DeSean J. Stallings, Ketaurious L. McDowell, Amari J. Stallings, Jada N. Staallings, Erin J. Stallings, and Layla A. Davis, and a host of nieces, nephews, cousins, and other family members and friends.